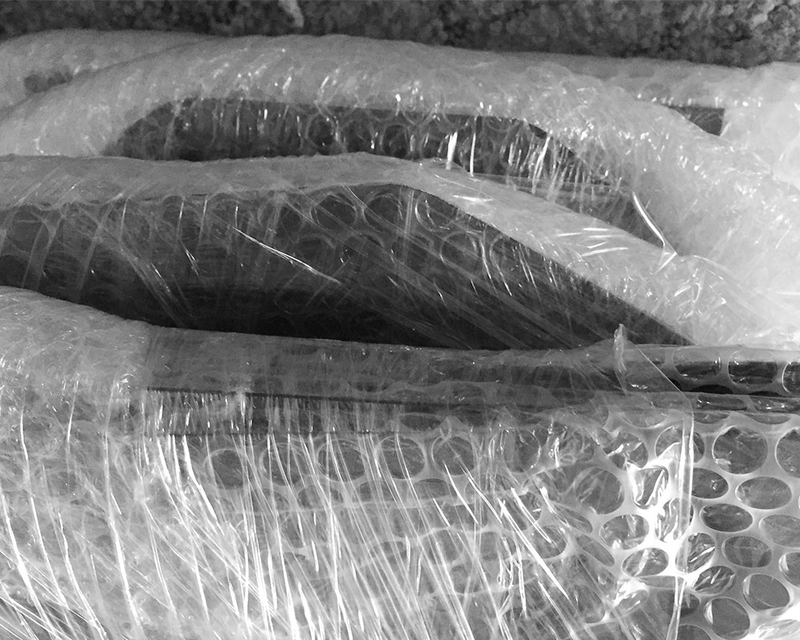 Wrapping and packing of finished goods for coating protection during transport. Where required we remove rust, paint and/or other surface contaminants through abrasive blasting of the metal surface within our specially designed six metre long, sound insulated abrasive blast booth. 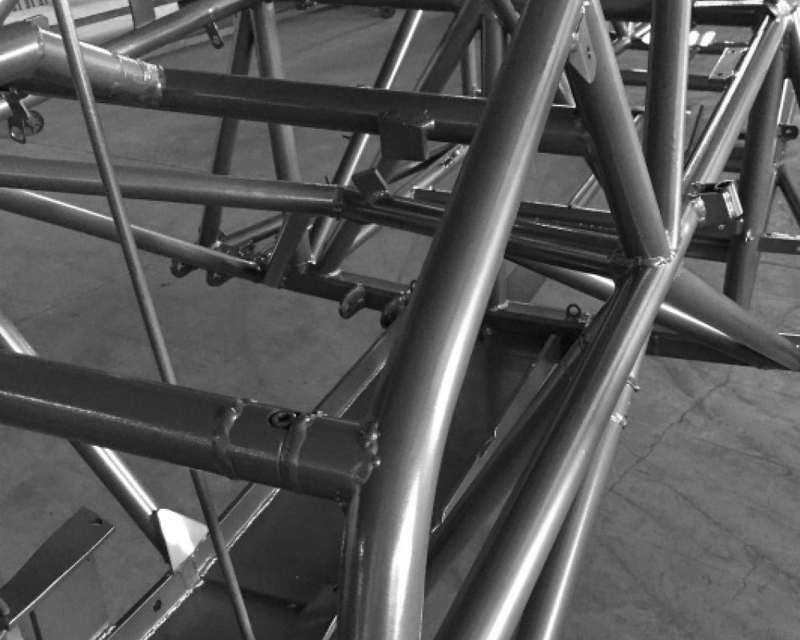 By getting back to bare metal a Class 2.5 blast standard, this creates a clean and debris free surface to start from in preparation for a long lasting powder coated finish. 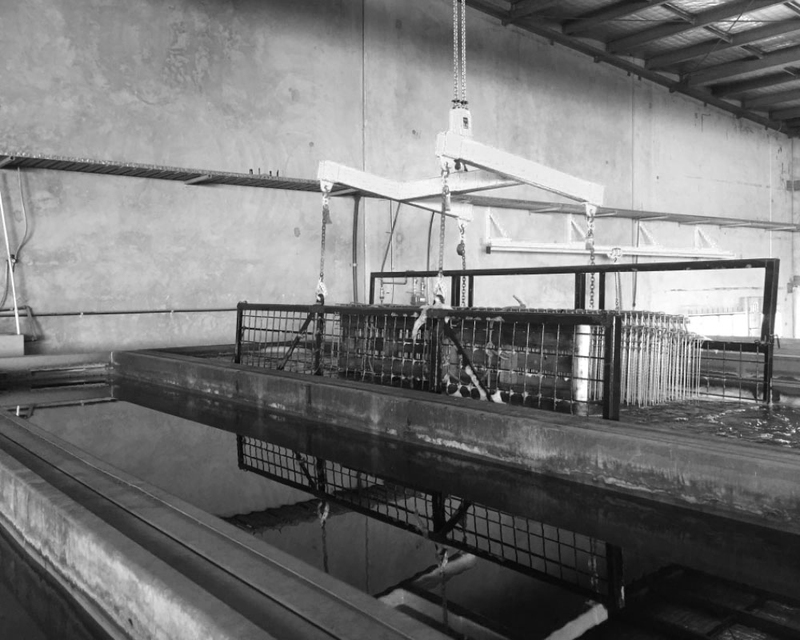 Our multi-stage chemical pretreatment system consists of a series of 7 meter long stainless steel immersion tanks for the effective preparation of aluminium and galvanised surfaces for powder coating. With acid etch and chromate conversion coating application stages, this provides improved corrosion protection and surface adhesion for powder coating. Our multi step iron phosphate or chromate conversion processes are designed to remove surface contaminants and provide a corrosion resistant layer in order to maximise the life of your powder coated finish. For an even longer lasting coating, E-static Powder Coating can apply a range of Zinc Rich and Epoxy primers to better protect the metal surface from rust or corrosion. Additional corrosion protection is important in coastal, marine or high moisture applications to ensure that the metal surface is adequately protected from the elements and the longest lasting coating service life can be realised. Our wide range of protective and decorative powder coatings can restore, colour and protect your surfaces in various applications and environments. 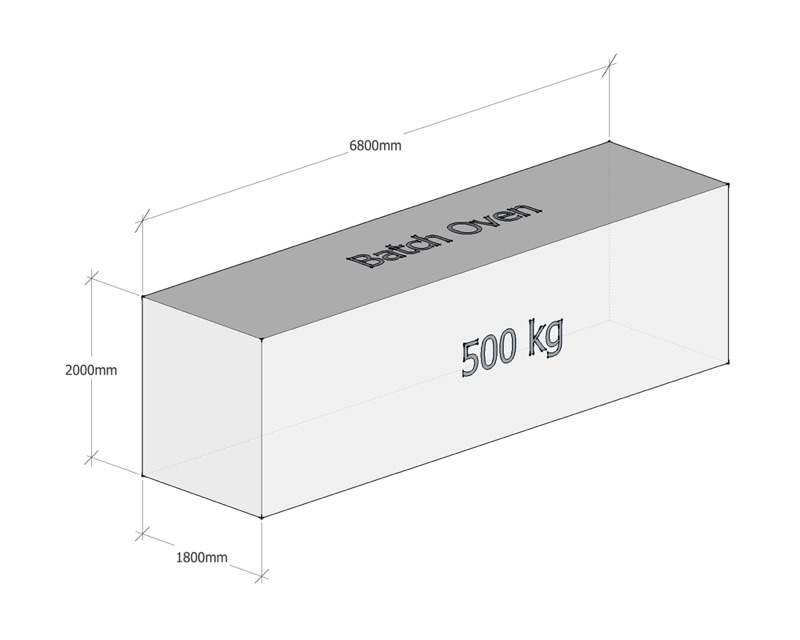 With batch and inline oven processes, various shapes, sizes and weights of goods can be accommodated. 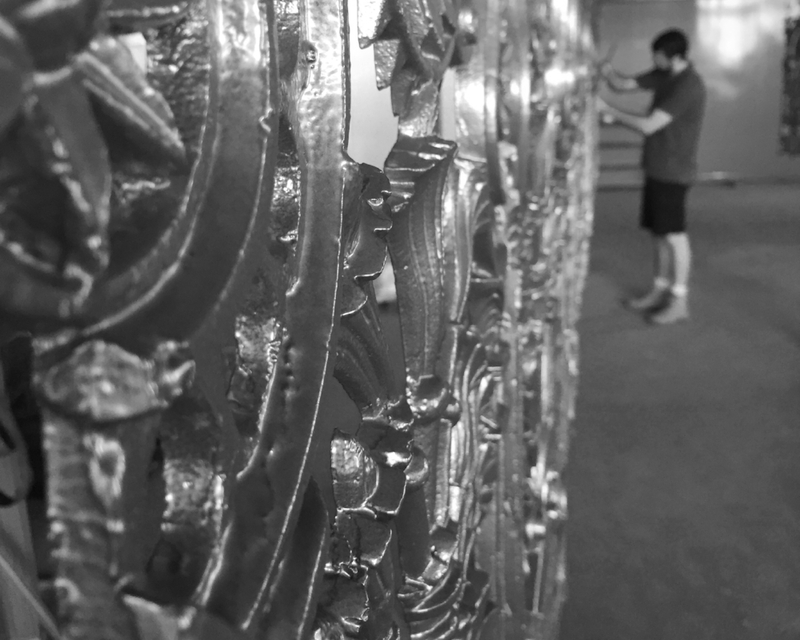 With surface finishes from gloss to matte, texture and ripple finishes, tints and clear coats for indoor and outdoor applications, there is a powder coat finish available to suit almost any need. Contact us for the best advice on the right coating for your application. 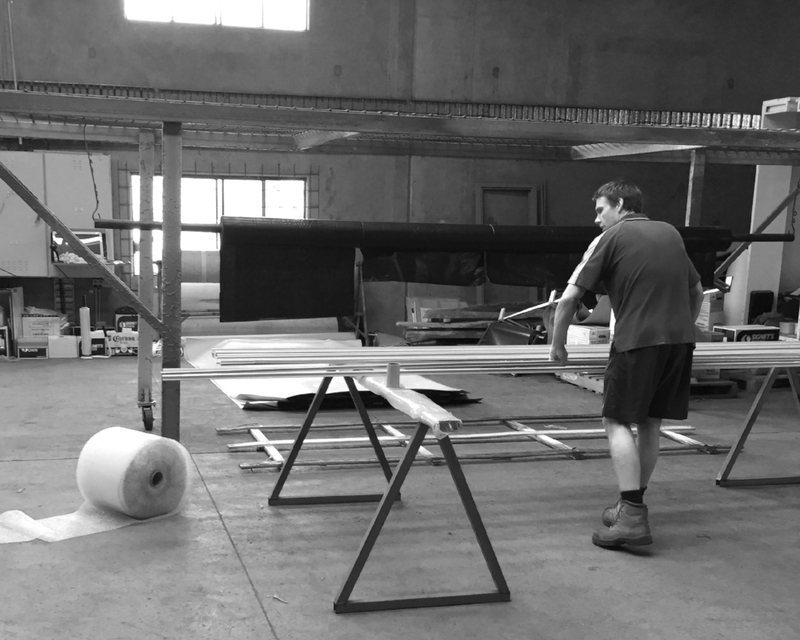 To make sure your goods arrive at their destination in the same pristine condition as when they came out of the oven, we offer wrapping and packaging services for your powder coated goods. 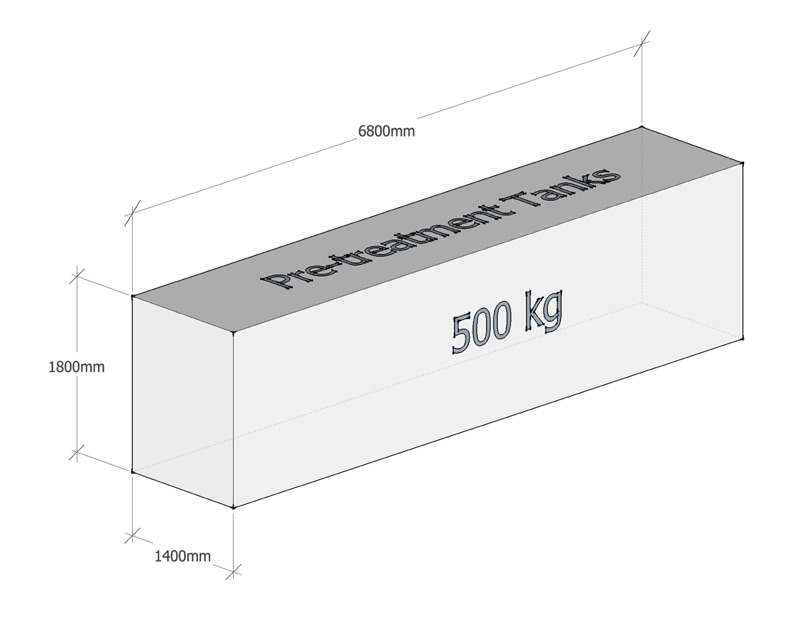 If you have specific transport or packaging requirements please let us know and we can develop the best packing solution to meet your needs.